There have been some new developments in the Hells Angels meltdown in Thailand. 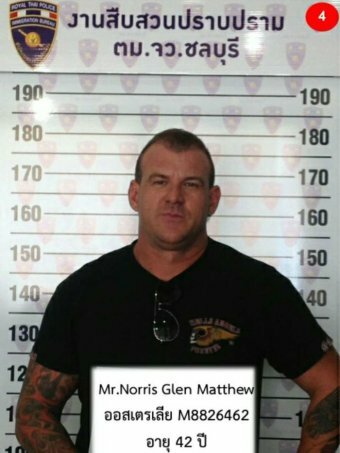 ABC Australia is reporting that Thaksin "Sin" Monthonthaksin was one of the founders of the outlaw motorcycle club's Pattaya branch a year ago. But now he is worried about the direction it is taking. "It's changed so much because there are many Australians, whose roles and power has been increasing," Mr Thaksin told the ABC. Charity rides and oversized cheques are being replaced with what he describes as "dark business". Big Surprise. Aside from Thaiboxing, what is Bangkok famous for? What dark business are the Hells Angels trying to take over? Thaksin was the founding member in Thailand. What was his crime? He chose an Asian as a prospect. The Australians Hells Angels didn't like that so they beat him up. Glen Norris, an Australian Hells Angel who lives in Bangkok is at the root of the dispute. Wayne Schneider was involved in a large drug network on behalf of the Australian Hells Angels. They had his bodyguard kill him and put Glen Norris in charge of that network. AFFA Not.